​Plan on drinking up to one pint (.47 liters) of water per hour while Hiking. If your hike is longer than 3 hours don’t even think about Hiking without taking water. While hiking water is a must – but carrying a water bottle in your hands is the wrong approach since 1 liter of water weighs 2.2 pounds. A better approach, one that frees up your hands for climbing and touching, is to have a hiking day pack that has an integrated place to store your water. The criteria that we use to evaluate Water Bottles are: 1) volume, 2) ease of opening, 3) ease of drinking, and 4) price. 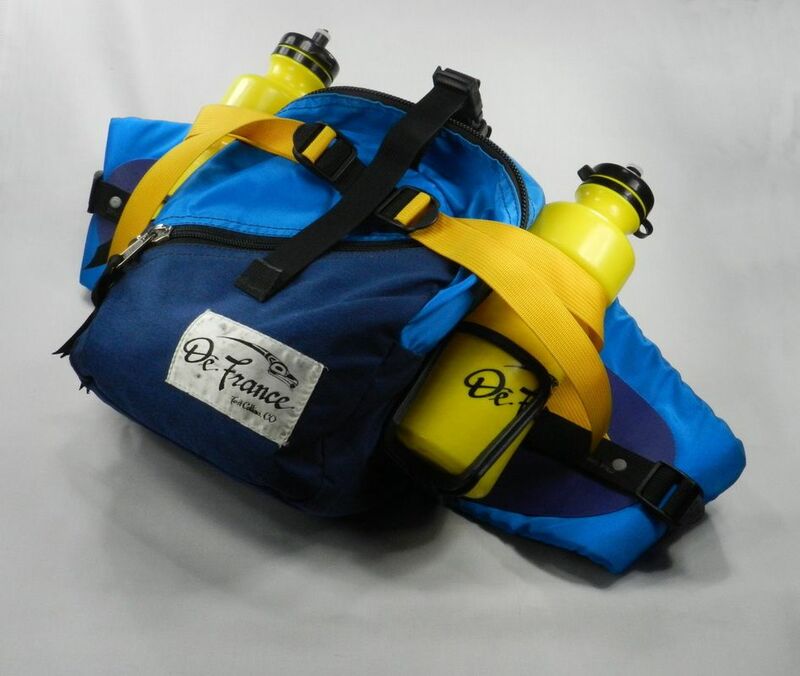 We like the De France Waist Pack with two integrated water bottles since it allows us to carry 1.5 liters of water (3.2 pints) with the weight balanced at our waist. 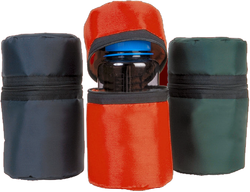 The shape of the bottle and spout caps also make them easy to hold and drink from while on the trail. Although you can no longer buy a De France Waist Pack with water bottles (since they went out of business), you can buy similar water bottles at Amazon.